You know Jess’ blog right? Jess is full of energy (hence the massive amount of things she can get done in a single day – even with two little girls in tow), she’s funny, and I just love how kind and caring she is. She’s even started to do more sewing for herself. Yay for that! And of course I had to ask her to help with out with Sewing with Knits Mondays, she’s got sewing with knits down pat. And I knew she’d come up with something ultra cute. Let’s hear it from Jess! I’m so excited to be participating in Anna and Shannon’s Sewing with Knits series! Both Anna and Shannon are both such fabulous and talented gals, not to mention so sweet. 🙂 Anna is a long-time blogging pal of mine and she never ceases to amaze me with her awesome projects. Soo…It took me forever to settle on a knit project to do-I had just come off of an obsession of my own with knits, so I was kind of out of knit ideas for the time being, lol. Pinterest to the rescue! So I set out to figure out how to make it myself. 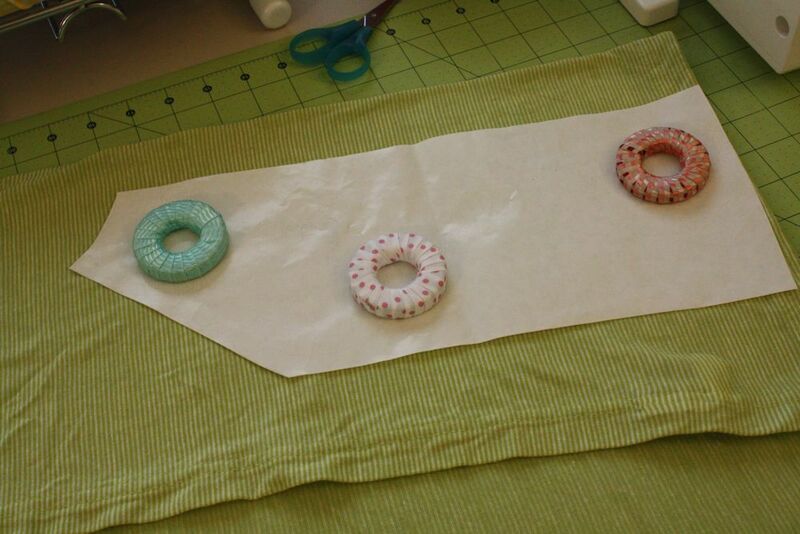 I used my raglan tee pattern and tutorial for most of the construction, so I’ll refer you to that tute a few times. It has a cute keyhole neckline, with elastic casing around the neck and button closure (though not that necessary because of the elastic, mostly there for the cuteness factor), and 3/4 sleeves with a bias tape trim. I used a jersey knit sheet set (Target clearance-$6), so I used the finished edge for my hem. One more pic, cause the sleeves are too cute! Ok, ok.
Come on over to see the full tutorial today, on Craftiness is Not Optional! Thanks Jess, you ALWAYS amaze me! And don’t forget to stop by Luvinthemommyhood today to check out what knit goodness she’s got going on today!